We believe in farming the old-fashioned way. 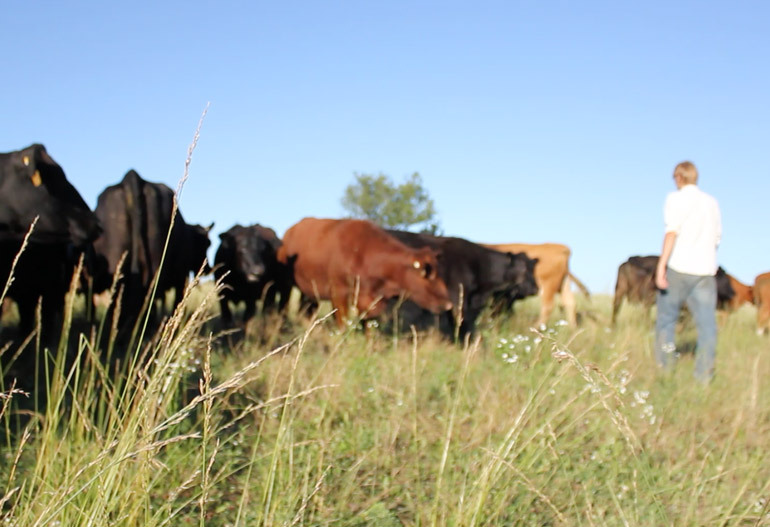 At HarvestBox, we'll never deliver meat loaded with growth hormones, antibiotics, or steroids. At HarvestBox we provide the highest quality meat that has been naturally grown at a pace that follows the animal's natural growth cycle. No growth hormones, antibiotics, or steroids are used. The family farms we partner with respect their animals, preserve their land, and believe in leaving the world a better place for the next generation. As you serve our products to your loved ones, know that you're part of something better. Ordering your meat through HarvestBox couldn't be simpler. Choose from any of our best selling collections like Grass-fed Beef and Bison, Wagyu Beef, Free-Range Pork, Alaskan Salmon, Free-Range Chicken, or Whitetail Venison. Add the preferred collection to your cart and check out with our easy process. Consider purchasing a HarvestBox meats as a gift for weddings, new babies, retirement or a new home. We would love to help you send some farm-raised goodness to someone special. 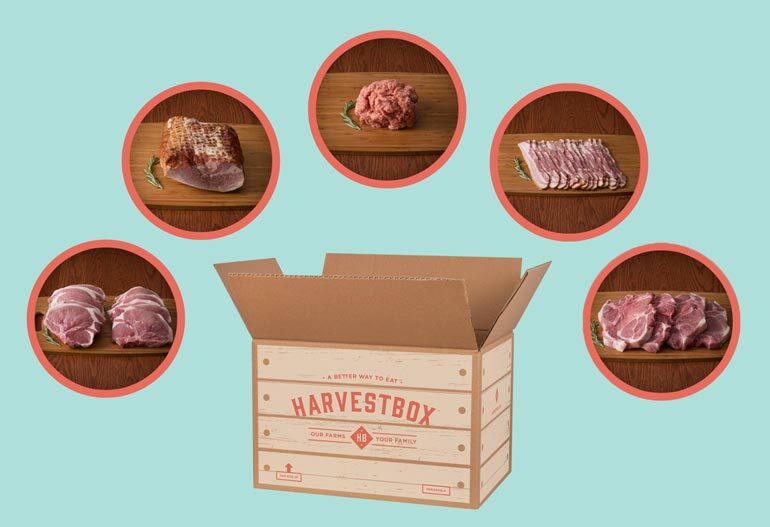 Our staff will hand pack your HarvestBox meats when you order. Your HarvestBox will ship with FedEx Ground service in an insulated box with dry ice to keep the meat frozen until it arrives at your door. Inside the box you'll find the meat organized into smaller bags to make it easy to unpack and store in your freezer. Individual meat packages are vacuum sealed for freshness and labeled with the cut name. Most packaging materials are either made from recycled materials or are recyclable. 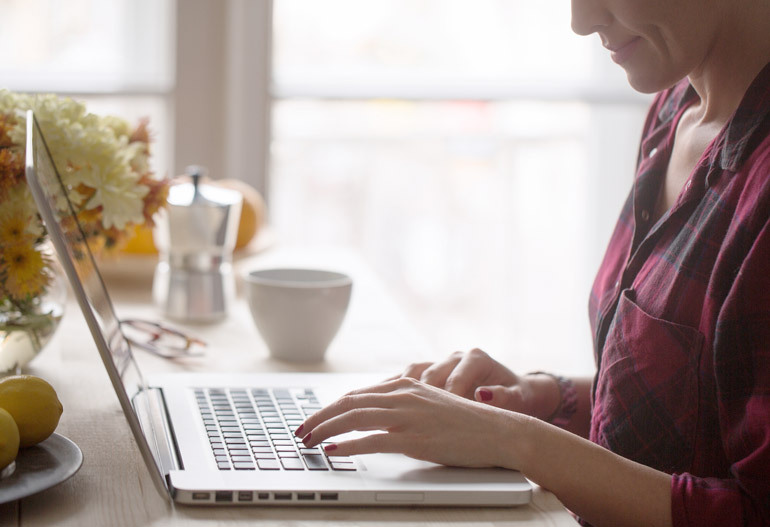 Shopping with HarvestBox is happily hassle-free. Our Farms. Your Family. Skip the grocery store lines and purchase all your meat cuts with a few clicks of a button. Our bundles of bison, beef, pork, chicken, salmon and venison can be ordered conveniently from your home or on the go and delivered right to your door. No need to add another errand to your day. If you live in West Michigan, an in-store pick up option is available. Order online, provide payment information, and check the box at checkout that indicates you want to pick up your order. Product costs remain the same and you will receive a Byron Center Meats Retail Store gift certificate to thank you for your trip. 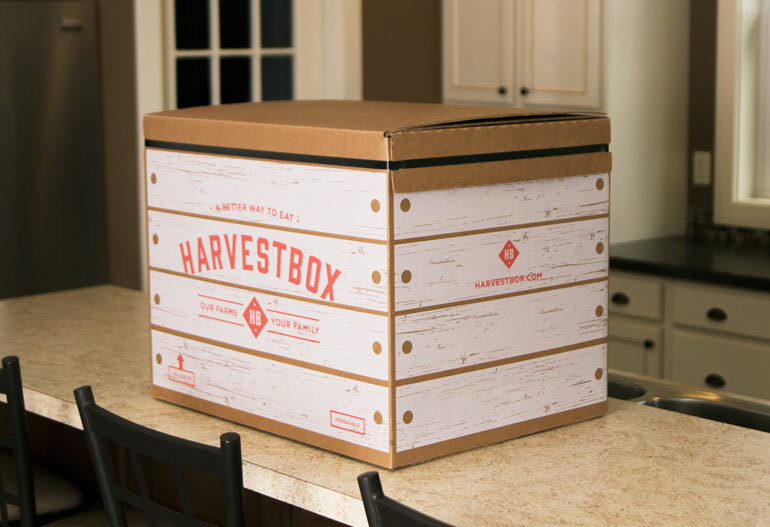 Once your HarvestBox has safely arrived, it's time to enjoy delicious cuts of meat in your favorite recipes. Full-size bundles come with a handy contents magnet that you can hang on your freezer to keep track of what you've used so far. 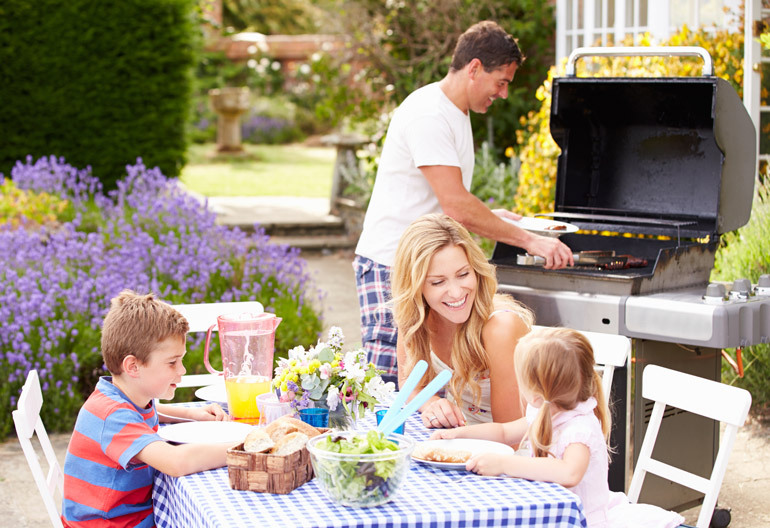 Check out our online Cooking Guide and Blog for even more meal ideas and tips. Welcome to the HarvestBox table.